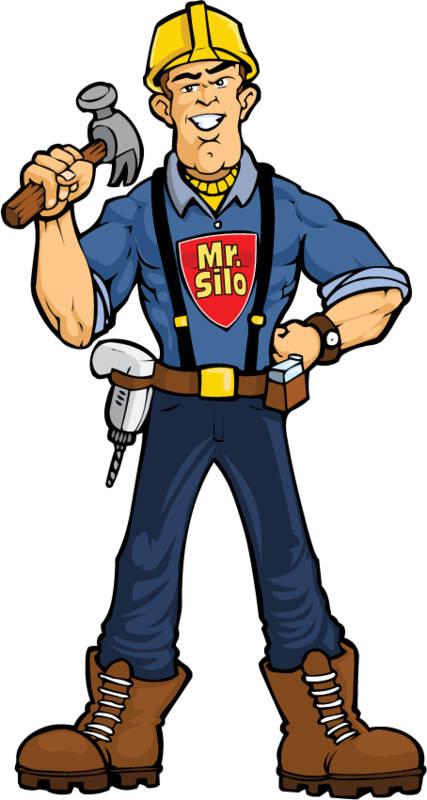 Mr. Silo is your source for all things concrete. For over 30 years Mr. Silo has been the premier resource for silo and bin information and the place to bring your industrial concrete questions. Does Mr. Silo only answer concrete silo questions? Mr. Silo specializes in industrial concrete construction, inspection, and repair of buildings or other structures, concrete pads, silos, and more. With the help of highly experienced engineers at Marietta Group, which houses Marietta Silos, Marietta Concrete, and USA Silo Service, Mr. Silo can answer any concrete questions you may have. What does Marietta Group do? We lead the industry in silo servicing as the only full-service company that addresses all your silo needs under one roof. We offer design, construction, inspection, repair, cleaning, coating, air-pad replacement, vacuum truck service and other maintenance services for a variety of industries. Marietta Group has a strong work ethic and customer-centered approach. We focus on identifying your needs, developing a cohesive plan and executing the job to your satisfaction. How to prevent concrete damage to structures, surfaces, and silos? Start with quality construction. You should then establish a regular inspection schedule and perform preventative maintenance as needed. Marietta Group serves a variety of industries that require storage of cement, coal, fly ash, lime, clays, aggregates, glass, and sand. What types of silos do you service? Marietta Group offers inspection, repair, cleaning and maintenance services for a variety of silos, including poured in place, stave, Jumpform, Slipform, bolted steel, and welded steel silos. The silos and bins we service typically store bulk materials in the coal, aggregate, cement, and grain industries and include: carbon black, clinker coal, fly ash, palletized fly ash, soda ash, cement, borax, clay, gypsum, lime, salt, foundry sand, flour, and grain products. Is safety a top priority and why? Safety should always be considered a top priority by both the contracted company and the customer. When silos are improperly maintained they are a danger to everyone around them. There are numerous examples of catastrophic silo failures that resulted in severe injury or loss of life. Marietta Group puts the safety of your workers and their's first without compromising the quality of service. Their experts know that safe silos have a longer useful life and lower operating costs for you in addition to reduced liability. What geographical locations do you service? Marietta Group offers fast service throughout North America. The mobile staging trailer saves additional time by allowing small repairs to take place in the same mobilization as an inspection or cleaning service. What should I look for in a silo company? When selecting a company for your silo design, construction inspection, cleaning, repair, or maintenance needs you should look for demonstrated experience and a history of customer satisfaction and on the job success. Going with a full-service company gives you the greatest variety of offered services and ensures well rounded technical experience. In the event of an issue with your silo, a full-service company can work with you to build a solution to the problem. Steel vs concrete. Is one better? Steel silos present a greater chance of damage or failure—particularly without the proper upkeep. Steel is susceptible to corrosion, denting, and can be damaged or destroyed by heavy wind. Steel is often costlier to maintain over its lifetime. Concrete has numerous advantages over steel for safer and more efficient silo construction. Take a look at our full Advantages of Concrete post or read our Concrete vs. Steel safety bulletin for more information. How do you order or commission a new silo? When selecting a concrete silo, the first consideration should be your intended storage material. Expert engineers understand how storage materials factor into the overall performance and safety of your silo and can use this information to begin the design process. Marietta Silos works with clients to design concrete silos that best match their intended application. They also offer consultation and design so you know exactly what to expect before construction starts. What’s the difference between a Slipform concrete silo and a Jumpform concrete silo? In short, Slipform silos are faster and better suited to designs that are more than 65’ in diameter while Jumpform silos are more economical and better for silos that are 10’ – 65’ in diameter. For more details, visit Construction Techniques. What is the diameter of a silo? You can estimate the correct size of your concrete silo using one of the Sizing Calculators provided by Marietta Silos. How much do concrete silos cost? Because there are so many considerations that factor into the design and construction of concrete silos there’s no one price. The best way to determine how much a cement silo will cost is to start with a consultation. You can complete a simple form to Ask Mr. Silo or contact Marietta Silos directly. What are grain silos and how do they store perishable materials? Grain silos are commonly constructed of poured in place concrete or galvanized steel. Concrete is the construction material of choice, as it provides additional strength and safety benefits vs. steel. Grain silos are constructed to be sealed airtight, reducing the risk of spoilage. A removable silo base allows for the easy retrieval and removal of the stored materials whether the silo is used for flour or other grain products. For more details, visit Grain Silos. Why should I choose your company to service my silo cleaning needs? Your needs are at the heart of what Marietta Group does. A customer centered approach has led to a combined 130 years in the industry. Marietta Group houses silo experts who cover your needs from construction, inspection, and repair to cleaning, maintaining, and coating. Marietta Silos’ sister company, USA Silo Service, uses proprietary technology to clean silos and bins more effectively than any other method in the industry. The Boss cleaning technology not only cleans better than the competition, it does so faster. USA Silo Service consistently minimizes time on site to provide better results with less downtime. Fewer days on site, less downtime, and greater silo efficiency provide you with the highest possible ROI. What makes your cleaning process more efficient/effective than your competitors' processes? USA Silo Service has established a reputation for quality silo and bin cleaning services over nearly thirty years in the business. They use the latest technological advancements for safe, efficient silo and bin cleaning. Their proprietary equipment is twice as powerful as any competitor and removes even the toughest buildup quickly and efficiently. USA Silo Service has a quick response time throughout the U.S. and Canada. Fast service means fewer days on site and overall cost savings without compromising results or safety. Expert team members receive continued training in the latest industry best practices and project safety measures to further improve the efficiency of services. What should I look for in a silo cleaning proposal? Your silo cleaning proposal should represent a cohesive plan that outlines the estimated expenses based on your questionnaire and uptake interview with the silo cleaning company. The most important aspect of a proposal is transparency. You should start by looking for an itemized list of expenses and consider whether the quote reflects the full project package. If a quote comes in substantially lower than competitors, ensure it includes per diems (i.e. lodging or living expenses) and any additional fees or premiums. Why would I benefit from choosing the rubberized coating? Rubberized roof-top and exterior wall coating offers numerous benefits. The distinguishing characteristic is that rubberized coatings bond directly to the silo surface and provide the greatest protection from the elements. Leaks in silo walls and roofs unsurprisingly cause a great deal of damage to the silo itself and the stored material. Particularly in the case of cement storage silos, a leaking roof can allow the cement to set and make cleaning far more labor intensive. Is the rubberized coating the best option for continued silo efficacy? Why? In short, yes. Rubberized coating better ensures continued silo efficacy. Coatings bond directly to the surface material. This eliminates a gap between the membrane and the roof and prevents water penetration points. Rubberized coating is also less susceptible to damage from traffic or work activities conducted on the roof. What is the application process for rubberized coating? Rubberized coating is either sprayed or rolled on. After exterior silo cleaning, a base coat and final top coat are applied. How do I find a list of concrete repair specialists? Look no further than Marietta Silos. After a century in the industrial concrete industry, they’ve learned more than a thing or two about concrete repair. Their team can also help you maintain your new concrete structure with regular inspection services and any new construction project you may have in the future. Still have questions? Contact Mr. Silo directly to ask your own question.